Don’t believe us? Listen to Shawn Adam, a row crop farmer from Batavia, Iowa, describe his experience using Alliance 363's on his sprayer. Shawn covers 12,000 to 14,000 acres between pre-emergence and post-emergence applications. He, and farmers like him, cover a lot of ground, and they have to do it quickly. Treating that much acreage means a lot of time spent in the cab of a sprayer, and the Alliance 363 AgriFlex helps make that even more effective. In the field, the 363 provides stability to sprayers (helping keep that long boom level!) and easily stays between rows, while the 363’s center lug makes it a dream to drive on the road. All of this equates to operators covering more area in less time...and doing a better job. Further increasing the efficiency of applicators and equipment is the 363’s use of IF/VF (increased flexion/very high flexion) technology. 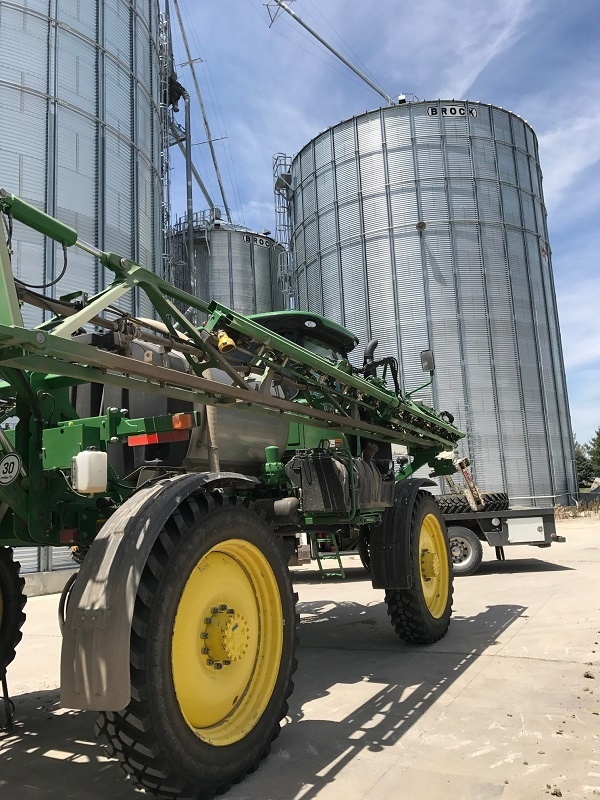 IF/VF technology allows the 363 to carry 20-40% more load than a standard radial, which can be especially valuable when your sprayer’s tank is full. Or you can choose to carry the same load, but at 20-40% lower inflation pressure than with a standard radial, reducing soil compaction and making it a little easier to get through soggy spring fields for pre-emergence applications. The Alliance 363 can also help protect crops once they emerge, which is important for farmers like Shawn, who do a lot of post-emergence applications. The added stability and advanced tread pattern of the 363 AgriFlex makes it easier to control machines in the field, keeping equipment in the rows and off of row crops—reducing crop injury and improving profits. The Alliance 363 has a well-deserved reputation for its low total cost of ownership, and is constructed using steel belts for greater durability, a special rubber compound to ensure punctures don’t cause an untimely demise, and a unique tread design to reduce road wear. That means the high performance tires you buy this season will perform for a long, profitable time. Finding dollars on the farm is vital for operations looking to succeed in today’s ag economy, and Alliance Tire is here to help. Contact your local Alliance Tire dealer to learn more about the Alliance AgriFlex 363 IF/VF and how it can help you unlock hidden potential on your farm.